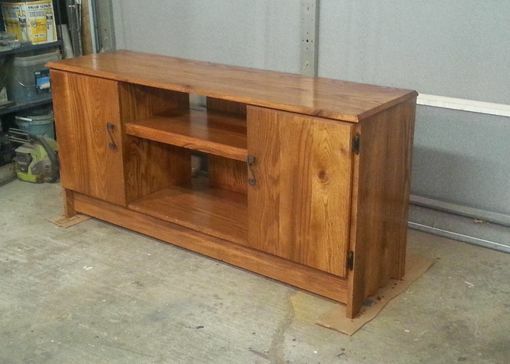 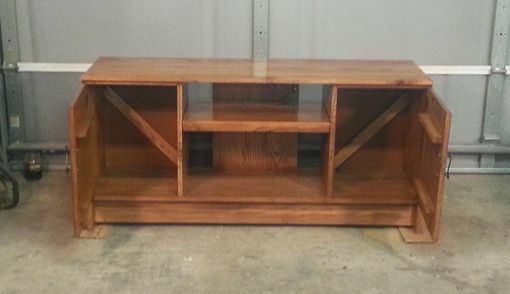 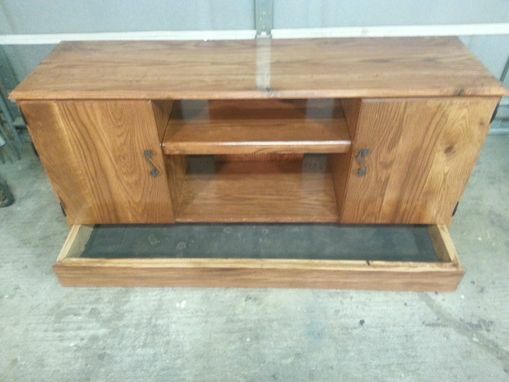 This particular entertainment center started as a barn that was being torn down. 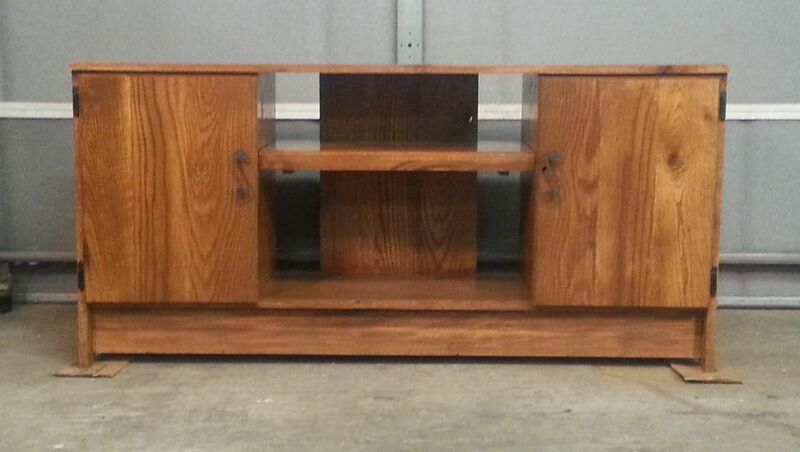 After salvaging the wood, I built two entertainment centers from it. 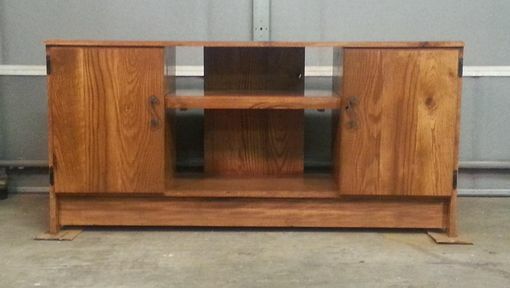 This was an order from a customer that wanted a hidden drawer below the cabinets. 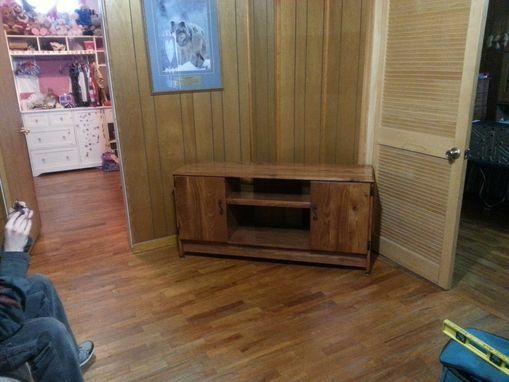 He gave me the tv model and dimensions he was going to have on it, but upgraded the television the day I delivered the entertainment center. 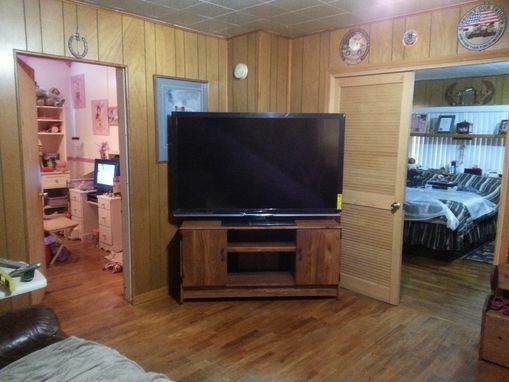 That is a 65" television on the entertainment center!